Simply delectable, our mouthwatering individually wrapped green striped spearmint candies are the perfect complement for every promotion. These non-melt, safety-related mints feature "Safety Is No Accident" on the wrapper. They come with one of 5 messages imprinted on the back of the wrapper. 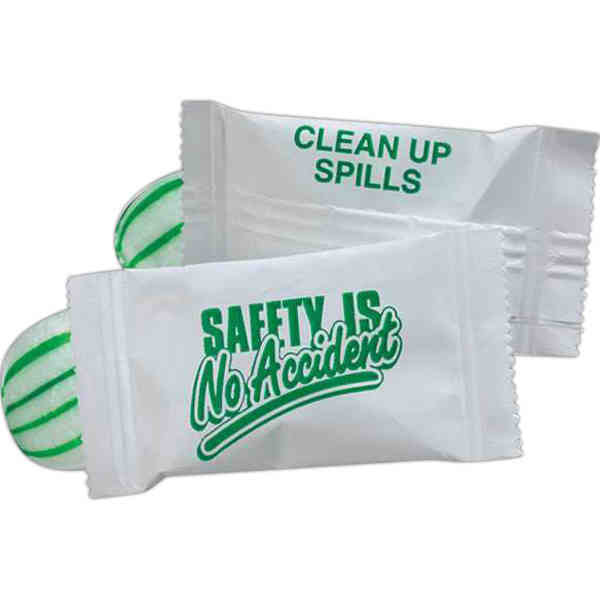 Clean up spills, The safe way is the best way, Report all unsafe conditions, Bend your knees and save your back, Keep all aisles clear. Priced per case of 1000.